Now that Halloween is over, it is time to shift attention to the biggest food holiday of the year. Many families spend weeks getting ready. Meal prepping, shopping, and seating arrangements are just a few of the tasks that are done each year by hard-working hosts. This can be quite an overwhelming task for new generations who are not experienced at hosting this event. Meal prepping for Thanksgiving can be anywhere from pretty simple to quite elaborate. For a simple Thanksgiving stick with the basics:Turkey (or ham,) mashed potatoes, gravy, biscuits, green beans and of course, pie for dessert.For a more elaborate dinner choose a mixture of family favorites and new flavorful recipes gives a topic to discuss over the meal.Its also a good idea to check if there are any guests with dietary restrictions such as Vegetarian, Vegan, or gluten free. Finding new recipes is fairly simple.Searching the internet, or scouring food magazines is an easy way to come up with great ideas for the perfect Thanksgiving menu. Shopping is another task that can seem monumental. But there are a few things that can be done to make it less daunting.Make a list of all the ingredients you will need.Each time you do your weekly grocery shopping, search for items from your Thanksgiving list that are on sale or will store until the big day. A few days before Thanksgiving, get the remainder of items on your list. Go through your list one more time to make sure you have everything needed. There is not much worse than discovering a missing ingredient Thanksgiving morning! Another chore that is typically done by the Host is making sure there is enough seating for dinner. Every seat, bench (or anything remotely resembling a seat or bench) is often used to seat people during the meal. But if handled in advance renting extra tables, linens, chairs, and even plates and utensils is easy and affordable. This minimizes any last-minute scrambling outside of the kitchen. With the emphasis on Thanksgiving dinner, many of us forget to plan a breakfast for guests staying with us for the holiday. With the kitchen being used for dinner preparation, providing breakfast can be difficult, but it doesn’t need to be. Order party platters from your local caterer. A few appetizers placed around the house allow guests to mingle and snack, preventing them from getting too hungry before the main meal. Corporate caterers not only provide affordable gourmet box lunches and party platters for business meetings and events but will deliver to your home as well. For example, Ingallina’s Box Lunch located in Seattle, Portland, Los Angeles and Phoenix provide free delivery to your home or office. Hosting Thanksgiving can be a lot of work, but it can be rewarding as well. Time spent with your family and friends over a delicious meal are memories that will last a lifetime! Contact Ingallina’s Box Lunch for food! 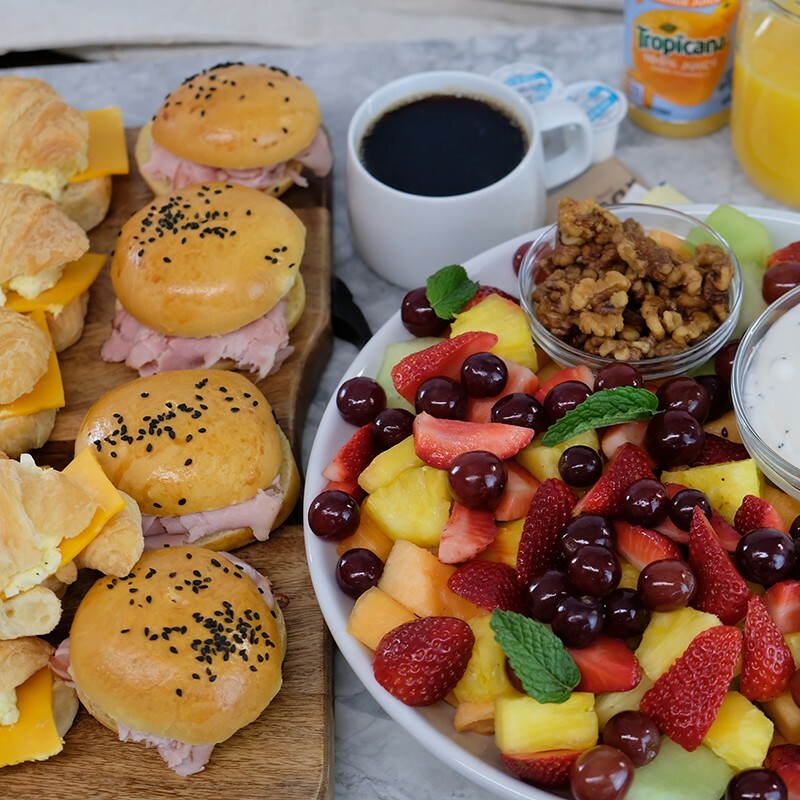 Ingallina specialize in providing Lunch Catering and corporate catering including Sandwich Catering, box lunches, breakfast catering and more with Fresh, Value, Variety, Delicious and Easy to Order and services in Los Angeles, Portland and Seattle.